Magnesium Deficiency Syndrome || Magnesium Supplementation || What is Magnesium Chloride || How is it Used? There is little doubt that that many people have lost touch with nature, having been born into our modern "civilized" world. There is also little doubt that this fact has greatly impacted the health of generations of both city dwellers and impoverished communities around the world. One the best examples of this problem can be illustrated by examining the incredible magnesium deficiency that exists. This widespread problem is underdiagnosed, difficult to correct with diet, and potentially related to an incredible number of illnesses. It has been estimated that 68% of the population is magnesium deficient, or will become magnesium deficient (based on a U.S. government study on dietary habits). "Mg deficiency is widespread, but under-detected because of the role of Mg, not only in the plasma, but intracellularly," said Dr. Dierck-Hartmut Liebscher, MD, in his paper "Dierck-Hartmut Liebscher, MD" et al, published in the Journal of the American College of Nutrition, Vol. 23, No. 6, 730S-731S (2004). Even when a medical doctor acknowledges a problem, the recommended corrective dose of 300 mg of Magnesium is not sufficient; a minimum of 600 mg of Magnesium is required to correct a deficiency. "Based on experience, it is our on conviction that many patients with so-called exclusion diagnoses (as for example, attention deficit hyperactivity disorder (ADHD) or chronic fatigue syndrome (CFS) would have their symptoms improved through Mg therapy.—Similarly, patients with diagnoses of depression, epilepsy, diabetes mellitus, tremor, Parkinsonism, arrhythmias, circulatory disturbances (stroke, cardiac infarction, arteriosclerosis), hypertension, migraine, cluster headache, cramps, neuro-vegetative disorders, abdominal pain, osteoporosis, asthma, stress dependent disorders, tinnitus, ataxia, confusion, preeclampsia, weakness, might also be consequences of the magnesium deficiency syndrome." In this article, we are not going to focus on presenting all of the abundantly available scientific data that points to the fact that magnesium deficiency is a problem of epidemic proportions. Look to the references section of this article for links for further research. We are also not going to focus on writing a treatise about how necessary magnesium is for both survival and vital health and well being. Any nutriotional handbook can easily provide these convincing details. Suffice it to say that magnesium is among the most necessary substances for human life, following very closely behind substances such as air and water. It is critical for proper metabolic function, on both macro and micro levels of human health. Instead, we are going to focus on how natural magnesium can be used as a part of natural medicine to help correct wide variety of health problems, and how magnesium can be used to enhance individual well-being. Those people who regularly swim in the magnesium-rich oceans have no need to proceed further. Like those indigenous cultures which practice the "ocean cure", a magnesium deficiency would be highly unlikely. For the rest of us, we highly recommend that one continues onward. When faced with the possibility of a magnesium deficiency, most people would simply seek a prescription from a medical doctor, or perhaps simply go to the local vitamin and supplement store to get an internal magnesium supplement, maybe in the form of capsules, tablets, or perhaps even a powder. While supplementing with magnesium citrate may be an option, there are several points that need to be carefully considered. 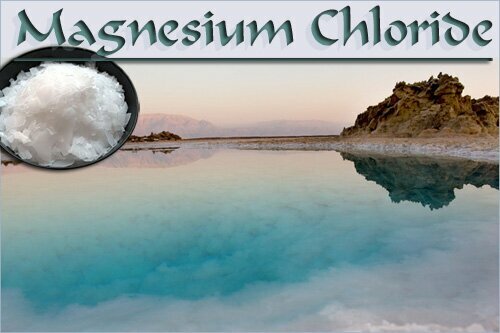 Luckily, there is a safe, effective, and affordable way to deliver magnesium into the body... One that is natural and has been used by humankind since before recorded history: Magnesmium chloride. Using magnesium chloride transdermally results in the rapid cellular-uptake of magnesium through the skin. By bypassing the digestive system all together, one does not need to focus on the many digestive problems that may hinder the biovailability of magnesium. Magnesium Chloride is a simple salt that exists abundantly in both of the world's oceans and all of its salt water seas. It's chemical equation is MgCl2 . 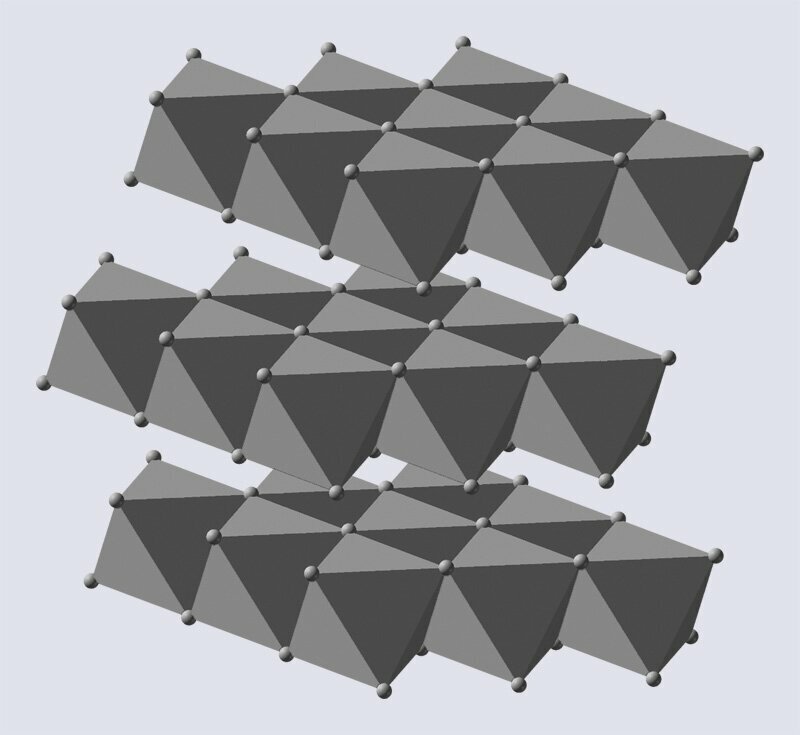 A single atom of magnesium is ionically bonded with two atoms of chloride. It is relatively non-toxic when used reasonably. How and Why Is Transdermal Magnesium Chloride Used? There are four methods for using magnesium chloride transdermally. Utilizing the principles of balneotherapy, enough magnesium chloride must be added to bath water to make a hypertonic solution. This means that enough salt must be added to make the bath more salt-filled than the body. This is an excellent way to both deliver needed trace minerals directly into the body, and to help the body cleanse itself. However, don't be fooled by marketeers; five to ten cups of sea minerals need to be added to a standard bath in order to achieve a truly therapeutic sea bath experience. While adding a few ounces of magnesium chloride "oil" may have some therapeutic effect, simple experimentation with differing amounts will easily demonstrate that our method, which comes far closer to the natural experience, is far superior. See our outside references section below for links to potential suppliers of bulk materials. In fact, we found bulk purchased Nigari flakes to be superior to some of the premade magnesium chloride oils sold on the market. Magnesium oil is made by rehydrating magnesium chloride crystals; just enough water is added to create a very light oil-like substance. In actually, there are no oils present in magnesium chloride oil. A small amount of magnesium chloride may then be massaged or rubbed into any area an individual feels needs treatment (see below). Magnesium chloride may be used to stimulate any system in the body. For example, it may be used on the neck and shoulders to treat stress; the legs and feet to work with the lymph system; the abdomen to work with the digestive system. Dr. Norman Shealy, for example, states that the quickest way to restore intracellular levels of magnesium is through with IV treatment. The standard treatment: 10 shots are given over a two-week period. 1 or 2 grams of magnesium chloride are administered via IV over a 30 to 60 minute period of time, depending on the patient (see our references section for further information). IV use must be done by a qualified medical staff. Of interest, Quinton Sea therapy is very similiar to treatment with IV magnesium chloride. Why use transdermal magnesium chloride? First and foremost, magnesium chloride is the most natural form of magnesium. In the age of overly processed food and beverages, truly natural is often the safest way to go. According to Jack Samuels, president of the Truth in Labeling Campaign, many oral magnesium supplements are chelated with nuetrotoxic substances. While forms of oral magnesium supplementation such as magnesium citrate may be viable option, it is difficult to acertain teh integrity and quality of the production process. Other forms of magnesium, such as magnesium sulfate, are not easy to assimilate; they are quickly eliminated from the body. However, those individuals who enjoy using Epsom Salt for bath can use both the Epsom Salt and Magnesium Sulfate if preferred. Due to its laxative effect, all oral magnesium supplements are difficult to use to overcome a magnesium deficiency. Transdermal magesium therapy is clearly the best choice. It is safe, convenient, affordable, and effective. Studies done by Dr. Sealy with volunteers have shown that after four weeks of foot soaking in magnesium chloride, 75% of the volunteers showed a signfiicant increase in intracellular magnesium levels. By bypassing the entire digestive system, individuals can be certain that the magnesium is being delivered exactly where it is needed: at the treatment site and/or intracellularly. One minor difficultly in the use of transdermal magnesium chorlide is calculating proper doses. Magnesium chloride should be used regularly for two months to ensure proper remineralization, or during periods of illness or distress. If the application is done on-body, then it should be used daily. If it is used in bath, it should be used at least three times weekly. All of this provided that the body tolerates the applications well. If the body rashes out, discontinue use until the rash clears; then resume use. The body will eventually adjust to its use. See other precautions in the correct section below. Having reversed a magesium deficiency, individuals should consider a common sense supplementation program of two to three times weekly if used topically, or once to twice weekly if used correctly in-bath. It can also be used as needed for sore muscles or with massages. What has Magnesium Chloride been Successfully Used for? According to Dr. Gary Gordon, elevated levels of intracellular calcium is caused by a magnesium deficiency. Thus the ratio of magnesium to calcium is incredibly important for normal cell function. Dr. Gordon notes that magnesium is poorly adsorbed through the small intestines. Some chronic headaches have been linked to magnesium deficiency. In a study done with 40 individuals, 32 individuals experienced relief from pain within fifteen minutes of magnesium IV treatments. Individuals studied suffered from migraines, tension, or cluster headaches. The study was conducted by Mauskop A, Altura BT, Cracco RQ, et al., and published in the publication entitled Headache, 1996 issue 36, pp. 154-160. The jury is still out on whether or not magnesium supplementation is an actual viable treatment option for all asthmatic patients. According to Marc Noppen, MD, PhD, FCCP, magnesium deficiency can lead to bronchospasm and respiratory failure, among other serious health issues. Dr. Noppen also notes that magnesium has been shown to cause bronchial smooth-muscle relaxation by acting as a physiologic calcium antagonist. Supplementation with transdermal magnesium, either through detox baths or applied directly to the chest area, would probably be a very prudent personal experiment for those with asthmatic conditions. According to C. Noel Bairey Merz, MD (director of the preventive and rehabilitative cardiac center at Cedars-Sinai Medical Center in Los Angeles), patients with serious heart conditions who began taking magnesium supplements were able to excercise for longer periods of time. According to Dr. Merz, the magnesium also appeared to protect the heart. The double-blind study was conducted with patients taking 365 mg of magnesium orally for six months. Other experts believe that magnesium is a viable treatment for cardiovascular disease linked to high cholesterol and high blood pressure. According to Carolyn Dean, MD, ND, 50% of heart disease could be prevented just with the correct use of magnesium. Dr. Dean recommends taking 300 mg two to three times a day. She recommends taking magnesium oxide, magnesium citrate, or magnesium glycinate. However, as we have stated, transdermal magnesium is more effective, quicker, and with fewer side effects. Large scale medical studies have also linked magnesium to high blood pressure, according to an artcile published by Denis Mann at Web MD. A study conducted in South America demonstrated that supplementation with magesium reduced cholesterol levels. However, due to the conflicting research reports, it is far wiser to reverse a magesium deficiency in the early stages of heart disease; in some studies, magnesium supplementation led to an increase in heart attacks for individuals with a history of severe cardiac disease. The French physician Dr. Pierre Delbet began studying the use of magnesium chloride for the treatment of open wounds in 1915. Dr. Delbet noted that common antiseptics caused an increase in wound tissue death. Later, he began to test transdermal magnesium chloride for other conditions. He eventually wrote numerous papers on the subject. In particular, Delbet found magnesium chloride to be especially useful for the the treatment of cancer. Many nutritional experts believe that there is a link between both cancer and heart disease with defiencies in magnesium, selenium and zinc. While conclusive data is not available, many studies have been conducted that directly implicate magnesium deficiency in the development of at least some cancers. To quote Marc: "To not replete cellular magnesium levels would be negligent, especially in the case of cancer where a person's life is on the line. An oncologist who ignores his patient's magnesium levels would be analogous to an emergency room physician not rushing resuscitation when a person stops breathing. If one elects to have or has already had chemotherapy, they have four times the reason to pay attention to a concentrated protocol aimed at replenishing full magnesium cellular stores." Magnesium chloride is a part of some natural and alternative skin cancer treatments as well. Magnesium, combined with Iodine therapy, has been used to directly treat skin tumors. Two doctors from Germany, Dr. Seeger and Dr. Budwig, demonstrated that cancer is mainly the result of a faulty energy metabolism in the cells, the mitochondria. ATP and most of the enzymes involved in the production of energy require magnesium. A healthy cell has lower levels of calcium and higher levels of magnesium. When a magnesium deficiency is present, calcium builds up inside the cells. Energy production decreases; the mitochondria slowly start to calcify. It is known that carcinogenesis induces magnesium distribution disturbances, which cause magnesium mobilization through blood cells and magnesium depletion in non-neoplastic tissues. High levels of magnesium have been shown to inhibit carcinogenesis with solid tumors. Both carcinogenesis and magnesium deficiency increase the plasma membrane permeability and fluidity. For more information on magnesium's relationship to cancer, see the IMVA article called "Cancer Cure Protocol" linked to in our references section. Individuals with kidney disease should not supplement with magnesium without the direct guidance of a medical doctor. Although much rarer than a magnesium deficiency, an excess of magnesium can cause muscle weakness, decreased reflexes and disordered cardiac rhythum. However, is unlikely that the use of transdermal magnesium could cause a problem with an overdose (any more than swimming in the ocean daily would). "I am 80 years old. 3 years ago I experienced reducing energy and increasing lethagy for a few weeks before applying transdermally magnesium chloride (and other sea mineral chlorides) to all of my body daily for about three weeks when my energies began improving and my lethagy began decreasing. These changes continued for three days. "The improvements were "back to normal" as far as I could tell. Ever since then I have been 100%. I believe getting magnesium into my cells caused the cell pH to rise to normal levels..."
"... My brain was very happy to get the minerals!" "I had polio in 1943 while in the Navy and spent 6 monhs in the Navy hospital in Bremerton, Washington. I was in an iron lung for about a week and I have been real active all my life with my disability and in my later years the pain from Post polio Syndrome I was getting really bad..."
About a year ago I started with the magnesium oil. My blood pressure had to be controlled with 80 mg of lisinopril and after I started using Mg oil on my feet, underarms and some on the sore muscles, my blood pressure started dropping and for the last 8 months I have been completely off the blood pressure medicadtion. My longevity doctor had given me a small bottle of Magnesium oil and that was the start of my road to living with my post-polio problem. I now get my magnesium oil from Swanson. Let us Know your experiences by commenting below. It is very difficult to find knowledgeable authorities who criticize the use of magnesium; especially transdermally. Authorities of course critically question magnesium's ability to treat and cure chronic illness and disease, but the same authorities would not dispute the need to ensure adequate cellular levels of magnesium. Magnesium chloride supplementation, transdermally, is a safe, affordable an effective way to supplement with magnesium. Lack of magnesium in the body has been clinically related to a wide variety of illnesses. As such, magnesium no doubt deserves to be a part of nearly every natural health program. The most affordable way to acquire transdermal magnesium chloride is to purchase food grade magnesium chloride flakes. Simply fill a plastic "drip" bottle with magnesium flakes, and hydrate with high quality water (or colloidal silver). Keep the bottle filled with magnesium flakes, and refill the water inbetween uses. There is no need to actually work the flakes into a pure oil unless planning to resell... Maximum saturation will eventually be achieved, although it may take a few weeks for complete saturation. Individuals can elect to buy "Magnesium Oil" or "Transdermal Magnesium Oil" from retailers. However, there are definately quality concerns and there is a great deal of unsubstantiated hype associated with different brands. About the Misdiagnosis of Magnesium Deficiency - Abstract of the paper written by Dierck-Hartmut Liebscher, MD, Dr Sc Nat and Dierck-Ekkehard Liebscher, Dr Sc Nat, from the Self-Help Organisation on Mineral Imbalances, Task Force Magnesium-Deficiency Tetany, Berlin, GERMANY. Inland Sea Therapeutic Clay Baths - For serious balneotherapy applications. 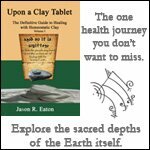 Sea mineral blends for baths may be purchased seperately from clay. All of the sea salts in the blend are derived from non-ocean sea and mineral sources. Transdermal Magnesium Therapy - Book on transdermal magnesium therapy by Marc Sircus. Holy Water, Sacred Oil; the Fountain of Youth - Holy Water, Sacred Oil is a book by the renown Dr. Normal Shealy. MD, Phd., a pioneer on pain management and magnesium chloride therapy. Interested individuals should consider making magnesium chloride by using food grade Nigari. Don't be fooled: MgCL2 is MgCL2. The only difference between products is the purity and the accompanying mineral combinations. Some products may be of higher quality due to the trace mineral combination, but all magnesium chlorides contain the same chemical makeup. Using a food grade Nigari works just as well for magnesium supplementation as any other product on the market. In some cases, it works better (being a food grade product). Marc Sircus on Mg and Cancer - Marc Sircus article on the role magnesium plays in cancer development. IMVA's Article - The cancer cure protocol.